Bellafill for Cystic Acne: Does It Work? Acne affects 40-50 million people and, in many cases, it leaves tell-tale pitted scars on the skin’s surface. These scars can create emotional and psychological impacts on both men and women that can last a lifetime. 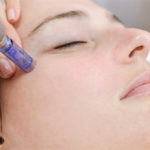 Only until recently, when the Food and Drug Administration (FDA) approved a non-resorbable dermal filler known as Bellafill for the treatment of acne scarring, people have been suffering with acne scars in silence. But can Bellafill help cystic acne scars? This is the question we set out to answer. Read on to discover how this dermal injectable might be the answer to your prayers. Can Bellafill Help Cystic Acne Scarring? Bellafill has been used since 2006 to treat facial wrinkles and fine lines. However, now it has also been approved to treat cystic acne scarring. Approval of Bellafill by the FDA took 12 months of extensive clinical trials that involved 250 patients with moderate to severe acne scarring on the cheeks. The results of the research trials showed that Bellafill successfully smoothed and offered a noticeable lift to pitted areas of the skin. It created a smoother overall appearance and dramatically reduced the severity of the cystic acne scarring. Bellafill (formerly known as ArteFill) is a dermal injectable. It is composed of tiny polymethylmethacrylate (PMMA) microspheres that are barely discernable to the naked eye. The PMMA works by mimicking the body’s own natural production of collagen. It creates a structure beneath the skin’s surface that the body uses as a platform to build more collagen.The structure created by the PMMA in Bellafill is not absorbed by the body, unlike other dermal fillers which must be frequently reapplied to maintain their results. Instead, the structure of the PMMA remains to support the skin’s new collagen. This creates younger, smoother skin with less scarring. Find the smooth skin you desire with these life-changing treatments. Bellafill is composed of 80 percent bovine collagen. Prior to using Bellafill, patients must undergo testing to determine if they suffer from any skin sensitivity to bovine products. If you are found to not be sensitive to bovine products, then you are safe to use Bellafill! After a consultation and skin sensitivity test, Dr. Vargas will determine the grade (the number of syringes needed for the application) of Bellafill. Each patient is different and will require a specific amount. Grades of Bellafill are ranked from 1 to 5. Grade 1 requires one syringe and Grade 5 requires four syringes. Each syringe of Bellafill contains 80 percent bovine collagen and 20 percent PMMAs. Dr. Vargas normally likes to start out conservatively and observe the results after injection. Bellafill will be injected into the skin using an ultra-fine needle that also contains an anesthetic (lidocaine) so that you do not normally feel the injections. The doctor might also opt to use an additional local anesthetic agent to reduce discomfort. 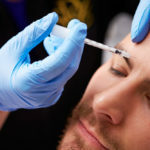 Patients may experience some redness or swelling at the injection sites. After treatment, a patient can return to work immediately. Most patients experience results in only one or two treatment seasons. Once results have been achieved, the results are non-reversible and the appearance of the acne scarring will be significantly reduced. Vargas Face and Skin is the premier provider of Bellafill in Kansas and Missouri. Please contact the medical experts at Vargas Face and Skin to book a consultation to discuss the lasting results of Bellafill for cystic acne scars.